Lyle Bunn is an independent analyst, advisor and educator providing digital place-based signage expertise to end users in the planning, design, sourcing and optimization of their initiatives. He has published more than 300 articles, whitepapers and “how to” guides and helped to train over 10,000 end user and supply professionals. 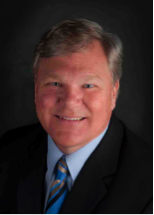 Lyle Bunn is an independent analyst, advisor and educator providing digital place-based signage expertise to end users in the planning, design, sourcing and optimization of their initiatives. He has published more than 300 articles, whitepapers and “how to” guides and helped to train over 10,000 end user and supply professionals. See www.LyleBunn.com. B-o-r-i-n-g ! While some may say it and others are thinking it about a retail location, you can bet that consumers will be voting with their feet and not just their wallets on a possible future visit. Without the visit the conversion opportunity is lost, and so for lack of customer experience, the kingdom is lost. March 28-30, 2016 in Las Vegas will be an interesting time for retailers. GlobalShop will feature education sessions and the show floor will include about 800 providers of design services, flooring, lighting and fixtures, all intended to make the retail location interesting enough earn a patron visits. Layout and fixtures will be planned, purchased and installed, and the store will be locked into that design and experience for many, many months to come. From season to season, calendar event to calendar event, little will change until the brand that year-over-year traffic is declining, the shopper loop is more shallow and dwell time is shortening. Staff turnover may even become an increasing cost factor as associates become complacent or even leave for places that offer more income potential and fun. Meanwhile, at the same time at the Las Vegas convention center at the other end of the strip, the 13th annual Digital Signage Expo (DSE) will be in full swing presenting solutions to the problem of how to make retail locations better, and at minimal investment. Vendors, including LG (which many claimed “stole the DSE16 show”) will show how vitality, ambiance and positive energy can dramatically escalate the customer experience with compelling, relevant, better targeted in-store visuals. GlobalShop delegates who care most about their brand identity and cost-effective retail design will likely make their way to DSE to visit LG and others of the almost 200 providers, many of which partner with LG. Perhaps they’ll hit the high points of GlobalShop on March 28-29 and visit the DSE show floor on March 29-30. Organic Light Emitting Diode (OLED) displays were unveiled last year and will be on full display again this year at DSE by LG. The vibrant colors of images presented, the Wow-factor in fashion, outdoor, destination, action and lifestyle media that can make the store a destination and the ultra-thin, modern form factor that can fit into any store design or architecture makes OLED from LG a digital display that can attract traffic, increase dwell time and amplify the brands like no other retail device. The inherent ability of digital signage to present images that are most suited to day and time, and the major calendar events of consumer’s lives, mean that store refreshment and messaging relevance are as simple as posting new media materials through an easy to use media management desktop. When attracting attention matters, nothing suits retail vitality, brand alignment and conversion messaging like digital signage. And no digital signage display is as compelling to consumers as OLEDs from LG.